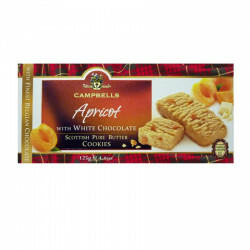 Discover these delicious Scottish pure butter cookies flavoured with apricot and white chocolate. 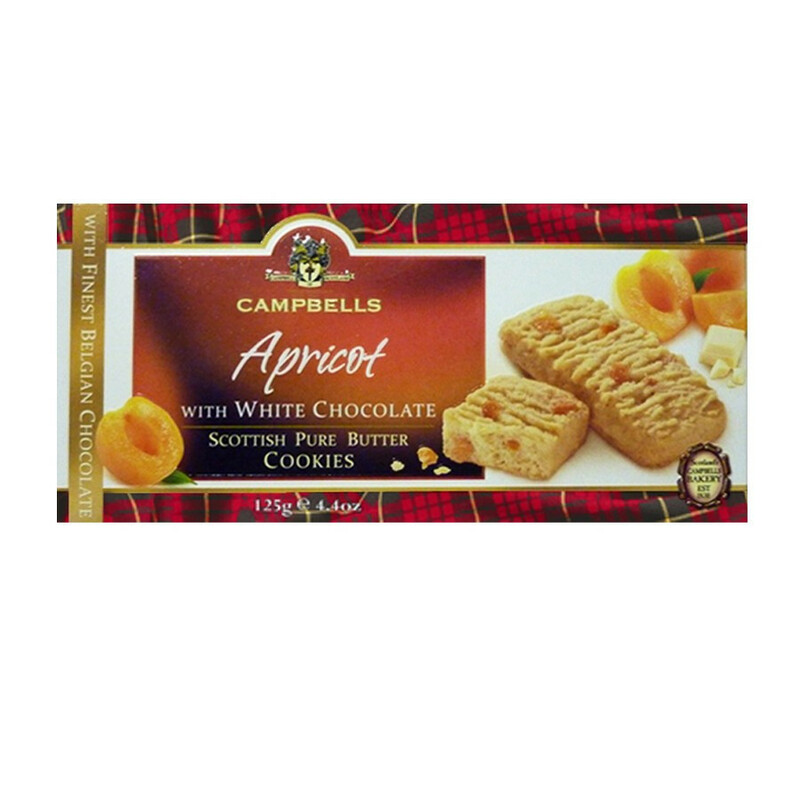 A delicious combination in a mouthful of these Campbells butter biscuits, where tangy apricot meets white chocolate sweetness. Made without any colourings, flavourings or artificial preservatives, these crunchy shortbreads contain only the finest quality ingredients (whole fruit pieces, natural flavourings, pure butter). Ingredients: wheat flour, butter (28.4%), sugar, apricot pieces (3.4%) (apricots, rice flour), white chocolate chips (2.5%) (sugar, whole milk powder, cocoa butter, soya lecithin), whole milk powder, natural flavourings, salt, raising agents (sodium bicarbonate, ammonium carbonate). Allergy advice: contains milk, wheat, gluten, soya.